For beginners or experienced bookbinders, antiquarian bookshops or conservation bindersâ€”detailed stepsÂ for practicingÂ an age-old craft steeped in beauty and traditionÂ Appropriate for a beginner or for an established bookbinder wishing to refresh their memory, this practical guide introduces the techniques of hand-binding a book with step-by-step instructions and photographs. The craft of bookbinding has a long history and tradition and is now enjoying a period of renewed popularity and creativity. 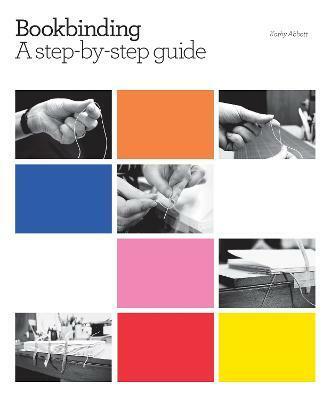 Here, transforming a few sheets of paper and some thread into a book to be proud of is made accessible. For the more experienced craftsperson, it also covers how to work with leather to create classic, professional bindings. Topics covered include single-section bindings, such as paperback or hardcover; multisection bindings, such as full-cloth case, photograph album, quarter-leather binding with paper or cloth-covered sides, or wrap-around structure; and containers, such as a phase box, slipcase, or portfolio case.